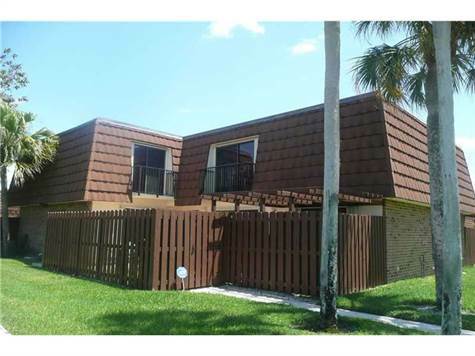 Lake Pine Village, Davie - Village of Lake Pine with peaceful water views. Kitchen updated. One bedroom on first floor. Interior laundry. Roof replaced in 06. Accordion shutters. Flowing floorplan with private courtyard entry. Courtyard is large for entertaining. Open balcony's from 2nd bedroom and master with gorgeous views. Quiet back corner unit with lots of green space and seclusion. Owner needs mid August closing or lease back. Best Davie schools and easy access to highways.